Every cricket lover knows about the 1983 World Cup victory. 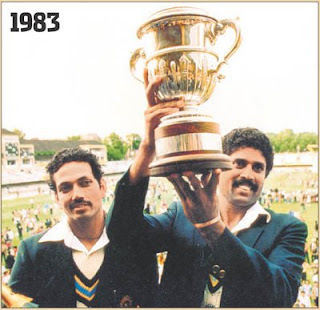 The day of 25 June 1983 is an Aj-Amar in Indian cricket history. The weak Indian team, under the captaincy of Kapil Dev, today brushed a strong team like the West Indies. This was the first major success in Indian cricket. 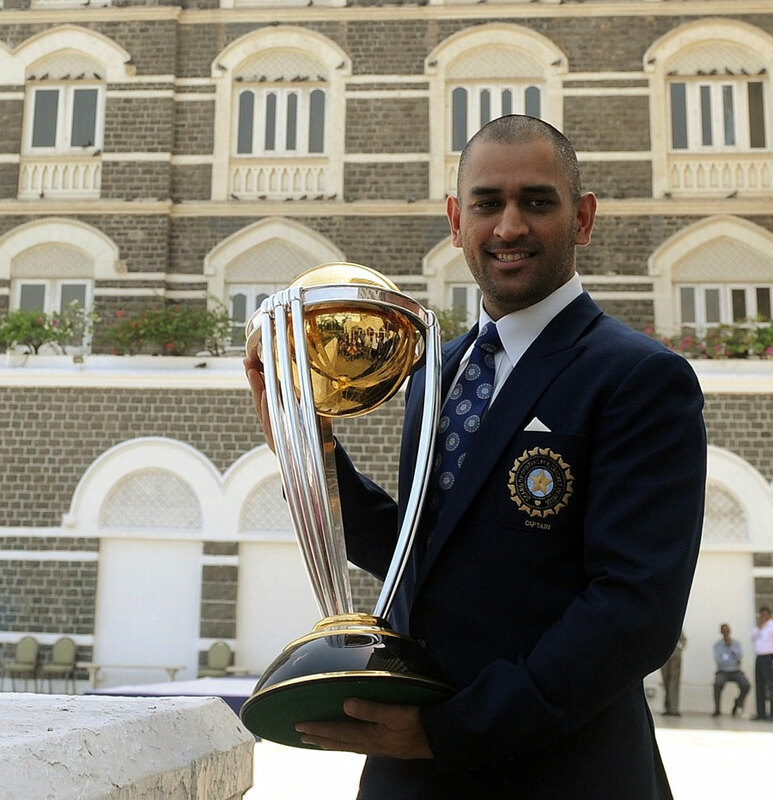 Today, India's first World Cup win is 29 years old. On this occasion, recalled the World Cup final match between India and the West Indies at Lord's historic ground. So far the cricket enthusiasts, no Indian player was also thinking about winning the World Cup at that time. India's open batsman Srikanth had a new marriage. He joked with his wife and said that we are not going to win the World Cup but are going to celebrate Honeymoon. Who then knew that Kapil's jaw players are going to create history. In the final, West Indies captain Clive Lloyd asked India to bat first before winning the toss. The Indian team was dismissed by adding only 183 runs in 54.4 overs. Most runs scored by Srikkanth were 38. So far the match was going to be what was being thought. The Indian team could have scored less in front of the West Indies's Black Tall (bowling attack). Everyone was thinking that the match will end soon, but Kapil's emotions came in the field with some other intention. West Indies opener Garden Grannies was bowled by Balwinder Sandhu on a personal score of 1 run. The West Indies score was 5 runs at this time. However, after this, Desmond Hans and Vivian Richards gave direction to the West Indies innings. When these two batsmen added 45 runs for the second wicket, then it seemed that the third consecutive time for winning the World Cup is being fulfilled. But on this score Madan Lal got Hanson caught by Roger Binny and the score of the Indians was 50/2. Just 7 runs in the scorecard were connected that Madan Lal caught Vivian Richards in the hands of captain Captain Vivian Richards, and the Indian cricket lovers united. Richards scored 33 runs and it was the biggest score in this innings of the innings. The Indian captain was trapped by a lot of difficulties and was caught by Richards. Kapil did not catch it, but the World Cup was wrapped. Richards was dismissed as the Indian players revived and the team was completely dominated by India. Despite the score of 76-6, the duo of Jeff Dujon and Malcolm Marshall got frozen and the Indians were seen returning to the match. Both batsmen took the score to 119 Then, standing in the slip, Sunil Gavaskar asked Mohinder Amarnath to bowl to the Indian captain. The captain accepted the advice of the senior player and Amarnath returned to Dozon (25) and Marshall (18) to return the pavilion to India's World Cup title win. Gary Kirsten, the outgoing coach of the Indian team, fervently lauded the captain Mahendra Singh Dhoni and said that the captain not only tried to do his best while leading the field but he was also the most saddened when he lost the team. Kirsten said Dhoni presented the example in captaincy. I have never seen a player who makes every effort to win in each match. He is a perfect person. I have never seen him losing his temper. He likes to take responsibility and when the team loses the saddest is the same. He said that he is a great captain. He will be the captain for the next few years, there is no doubt in it. When Kirst took over the coaching position in Indian cricket, he had no previous experience. The former South African cricketer said that he wanted to create such an environment in which the team was happy and for this reason, it was largely dependent on star batsman Sachin Tendulkar. He said human management is extremely important. You have to give the cricketer a chance to do his best. It is to improve them without understanding each one, working on their abilities and changing their technique. Kirsten said that I wanted to create an atmosphere in which the team would be happy and feel like a team. In this case, Sachin was the leader for me. He said that if Tendulkar plays for the 2015 World Cup, it would be good but he admitted that by then he would become old and now he would think and plan ahead. By 2015, Sachin will be 42 years old. I think that (if they play in the World Cup) it will be good. He does not want to retire because he is enjoying the game. I am proud of them but their age is growing and they will have to plan this out which game to play and which does not belong. Kirsten said his preparation was good and he worked hard on his bowling. I am very proud of UV's becoming the 'Man of the Tournament'. Recalling the World Cup, the coach said that he is happy that whatever match the team played in the group stage was very close because it prepared the team for the knockout stage. Kirsten said that he will continue to come to India and in future, he can also consider giving coaching to an IPL team. He said, "I will definitely consider coming to India. Surely the IPL is a way out of the coaching perspective. But I do not know what I'm going to do. Asked if he was a scathing fast bowler There is a problem with dealing with Sreesanth, who has also raised the hand of captain Mahendra Singh Dhoni. He said Paddy has spent a lot of time with Sreesanth. She is quite skilled. Mr. needs to work on his continuity. He has played seven consecutive Tests for us and it was important. If Sreesanth does not take his cricket to the next level, then this talent is worthless. Kirsten also thanked Indian fans who gave him equal respect as his players did. Indian coach admitted that as coach of Team India, he was happy with the South Africa team being out of the World Cup, but he was sad for his country. Kirsten also appealed to the media of his country that the team should stop sticking and stop saying.